I’M HERE IN ST. LOUIS! 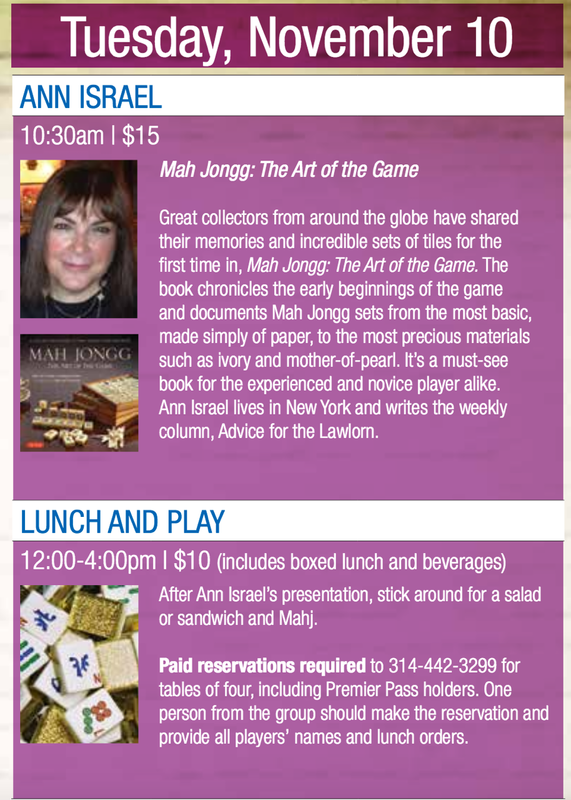 Please join me today in a game of Mah Jongg after my presentation here at the St. Louis Jewish Book Festival! This entry was posted in Mah Jongg and Me and tagged mah jongg, mahjong, St. Louis Jewish Book Festival on November 10, 2015 by Mah Jongg and Me.